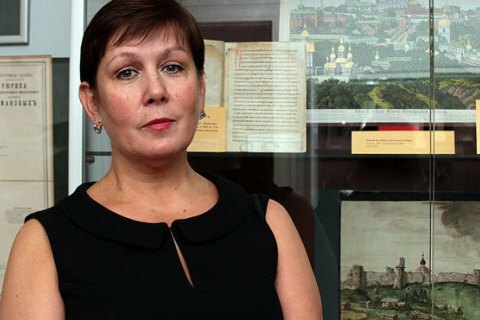 Moscow's Meshchanskiy court has given the former director of the city's Ukrainian Library, Natalya Sharina, a suspended four-year sentence. It found her guilty of extremism and embezzlement, according to Interfax. The prosecutor requested a five-year suspended sentence for incitement of hatred or enmity and embezzlement. Investigators insisted that she distributed books which are considered extremist in Russia, including those by Ukrainian nationalist Dmytro Korchynskyy and the children's magazine Barvinok. They said that she had spent 279,000 roubles from the library's budget on lawyers. Sharina did not plead guilty. The Russian human rights centre Memorial recognised her a political prisoner and linker her persecution to the anti-Ukrainian campaign underway in Russia since the spring 2014.